The Regional Transport Committee last week had a lively debate on whether one of the top three goals for the district transport programme should include encouraging alternatives to the private motor vehicle. In the end we agreed encouraging alternative transport options is important and agreed that promoting cycling, walking and public transport is a priority. Private cars use approximately 60% of all fuel consumed by road transport, New Zealand imports and burns through more than $20million of fuel per day! A 2009 report by the Ministry of Transport suggests we spend a lot more time in the car and less time spent walking and cycling than we did 20 years ago. Gisborne drivers travel less distance than any other region in the country and Gisborne cyclists spend longer on our bikes each week than any other region. In the mid-nineties there were about 15,000 motor vehicles crossing the Gladstone Road bridge each day, I suspect the volume might be slightly higher than that now. Around the country only 1% of people travel to work by bicycle, while 94% travel in a private motor vehicle. And only 5% of students – or one quarter of those that cycled when I left school 20 years ago – now cycle to high school. In 2004 the Gisborne District Council signed up to the ‘Walking and Cycling Strategy for the Gisborne District’. Targets for how the effectiveness of the strategy were to be measured have never been added to the empty boxes in document, though some general goals such as 10% of students walking or cycling to school by 2015 and an increase by 10% of commuters travelling to work by walking or cycling by 2015 are goals we now have only three years left to achieve. It is time to review the Strategy. An iconic project included in the Strategy and championed by people like the late Murial Jones, Kathy Sheldrake, Phil Evans and Richard Coates is the Wainui-Sponge Bay cycleway. This project is designed to make it safer for commuter cyclists coming from Wainui and recreational cyclists from the city to get in and out on, particularly given the rapid increase in heavy vehicles on State Highway 35. We expect a funding decision on this project within the next month. 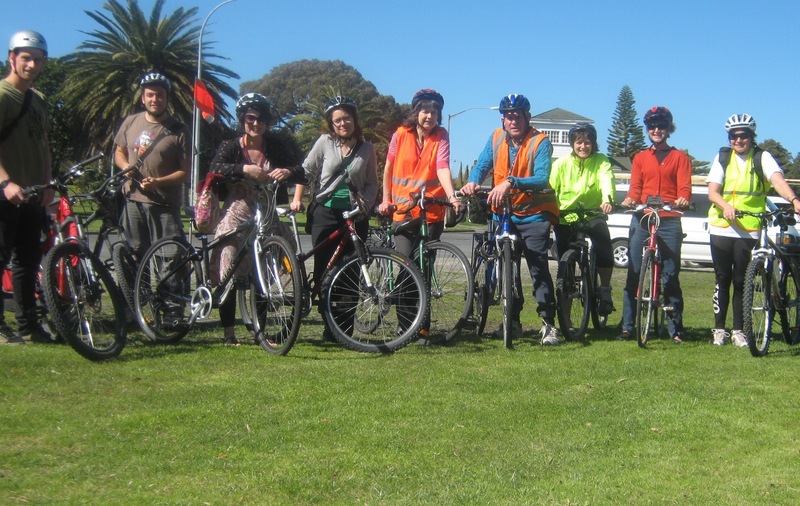 The Gisborne Cycling Advisory Group was established a couple of years ago and has made some great contributions to cycle route planning in both the urban and rural areas. Focused largely on commuter and tourist cyclists, the group meets monthly and is open to anyone keen on advocating for cycling infrastructure and encouraging the public to cycle more. As a recent Australian report on the economic benefits of cycling reveals, bicycle travel cuts millions off the national waist line and bottom line. Inactivity is now a major cause of health problems and cycling provides a practical, sustainable and cheap opportunity to help get more Kiwis active and drive down the cost of health care. Of course the more cyclists there are, the safer it becomes – and while we may be seeing a national trend away from commuter cycling, most Gisborne city residents have few excuses not to cycle or walk to work. The city is relatively compact, very flat, enjoys a good climate and has an ever increasing number of cycleways. It has been great to see so many people on bikes this summer, how can we encourage even more to make the move? I’m a big supporter of this, there have definitely been a lot of changes in the last few years in regards to trails and cycleways appearing around the area, it’s great to see. 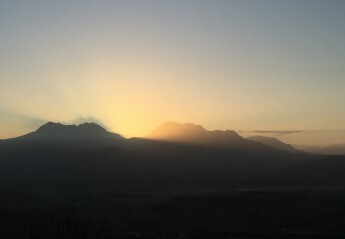 However, as an active Mountain Biker I’ve been riding since the earlier days when Mountain Biking was still a very new sport (20 or more years ago) and it’s always been dissapointing to see nothing much around Gisborne/Tairawhiti to cater for the sport. Citys such as Rotorua have built world renowned trails that bring in people from all over the country and world, yet our area that has countless square meters of rural land, produces some of the top sports people in the country and is home to a large MTB community, has very little to offer, forcing most of us to drive to Napier/Rotorua etc in our weekends and holidays to get some decent riding in… or take up road cycling (no thanks). It would really nice to see Council (or another organisation with a bit of clout) leading the way in kick starting something to change this. Fox Street was a nice start, but it’s not ideal for a number of reasons and there hasn’t been a lot of development there at all. There is land out at Mander Rd that I believe is looked after by Kohntrol Forest Services that has been opened up for trail development, it would be nice to see the community get behind the further development/funding of that, it’s a good step in the right direction and a fantastic tourist attraction waiting to happen!